Riverwest 24 photo by Joe Brusky. Prepare to be exhausted after this weekend as there are plenty of festivals to hop between and a 24 hour bike ride to participate in. That's right, cycle for 24 hours straight. Taste of Wisconsin returns for its ninth year in downtown Kenosha from July 28-30. This family-friendly event is free to the public and offers plenty of great options for lunch, dinner or a snack. Apart from great food, there will also be a kids zone with lots of activities, four stages of live music and a demo center where chefs will give live cooking tutorials. Food vendors from all over Wisconsin will be there to sample their foods and beverages for all festival attendees to enjoy at the lake! Photo courtesy of Taste of Wisconsin. Have you ever wanted to see a real-life lumberjack in action? Now is your chance! The STIHL Timbersports U.S. Professional and Collegiate Championships will be at the Henry Maier Festival Park from Friday, July 28, to Sunday, July 30. From the Standing Block Chop to the Single Buck, all disciplines of timbersports will be on display! To attend the championships, admission to German Fest must be purchased and single-day tickets may be purchased for $9 using the code STIHL2017. Photo courtesy of STIHL Timbersports. Singer-songwriter Ryan Adams comes to the Riverside Theater on Sunday, July 30, to perform to a sold-out crowd. With music ranging from alternative country to heavy metal riffage, Adams displays his knack for incredibly crafted songs. Known for songs such as “Everybody Knows” and “Do You Still Love Me,” Adams is sure to put on a great show Sunday night. German dancers at German Fest. Photo courtesy of German Fest. With a large percentage of Milwaukee natives noting at least some German heritage, German Fest proves to be one of Milwaukee’s most popular ethnic festivals. German Fest runs Friday, July 28, through Sunday, July 30, on the Summerfest grounds. There will be authentic German food such as schnitzel and strudel as well as German music and dance groups. Advance tickets can be bought online or day of at the gate. Brady Street Festival returns on Saturday, July 29, from 11 a.m. to midnight. There will be four stages of live entertainment ranging from local bands to yoga and comedians. 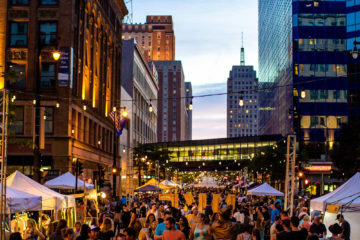 Brady Street Festival is a great opportunity to enjoy some great food and drink while walking Brady Street and taking in the sights and sounds. There is something for everyone: a rock climbing wall for the kids, Division BMX shows throughout the day and even some pro wrestling matches! Photo courtesy of Steph Salvia. For the second summer, the stars of Lifetime’s hit series Bring It! are on tour, and they are making a stop at the Riverside Theater on Thursday, July 27. Fans will get the chance to see the Dancing Dolls perform their high-energy dance routines as well as getting a behind-the-scenes look at the hit show. The show begins at 8 p.m. and tickets are still available to purchase online, beginning at $35. This week marks the start of Milwaukee Craft Beer Week and what better way to celebrate than at Milwaukee Brewfest? The lakefront festival is on Saturday, July 29, in McKinley Park. 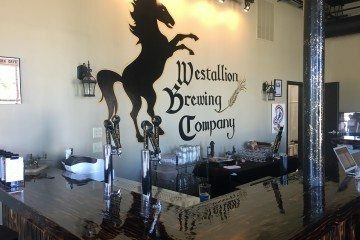 There will be over 100 breweries in attendance serving up craft beers, ciders and meads. While VIP tickets have already sold out, there are still general admission tickets available to purchase. If you’re planning on going, it’s suggested you purchase your tickets early — they’re going quick! Milwaukee Brewfest photo courtesy of Bill Hoag. Are you prepared to bike 24 hours straight? Riverwest 24 returns for the annual community-wide cycling event July 28-29. The event encourages bikers and spectators alike to come out for a full day to showcase the Riverwest neighborhood and encourage biking in the city. Whether you’re biking or watching, everyone is welcome to the event. While some may feel prepared to take on the 24-hour cycle themselves, it is suggested to break it up among a team. Happy cycling! To celebrate the 150th birthday of famed Wisconsin architect Frank Lloyd Wright, the Milwaukee Art Museum presents its newest exhibit, Frank Lloyd Wright: Buildings for the Prairie, to the public. The exhibit features some of Wright’s earliest work that is found in the Wasmuth Portfolio. Throughout the exhibit, examples of Wright’s furniture, stained glass and textiles can be found as well as some of his designs. The exhibit will be open from July 28 to October 15. Previous ArticleRolled Ice Cream at Fro-Zone: Does it Add Up?